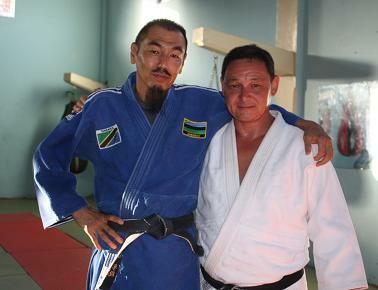 Mr.Tsuyoshi Shimaoka has been introduced on Zaspoti, 28/01/2013. 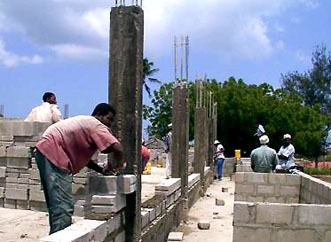 It says that he has started Zanzibar Judo, and introduces its history, then says that Zanzibar Judo make Zanzibar famous by their activities and results like getting medals in international competitons. Mr.Mike Wilson, 2nd Dan. 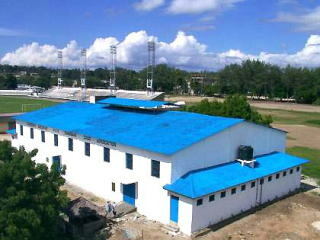 16/Jan---19/Jan/2010. 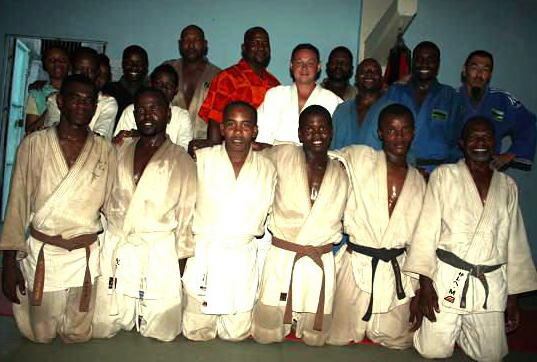 He supported Zanibar Judo Team when we visited in South Africa for joint training in July 2003. *about 20minues by car from Airport. 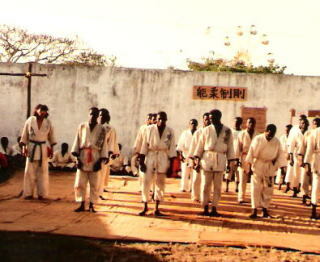 Zanzibar Judo Association (ZJA)has been registerd under the Zanzibar National Sports Council Act, since 1999. 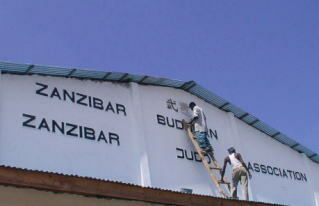 Zanzibar Judo Association is a member of the National Olympic Committe of Tanzania. Zanzibar Judo Associationa has organized and participated in varaious comtpetitions both National and International. 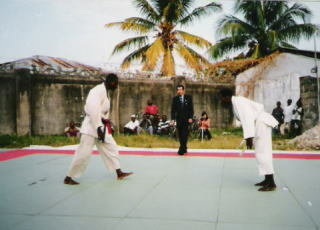 Before 1992, there was no Judo in Zanzibar at all. 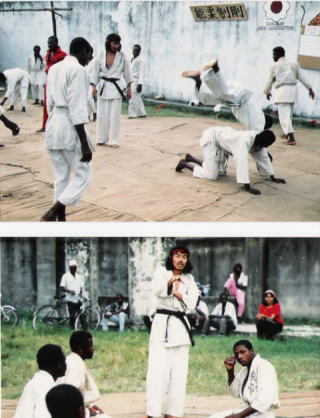 Mr.Tsuyoshi Shimaoka who has been in Zanzibar since 1987 started to teach Judo in 1992 without Tatami, and Judogi. 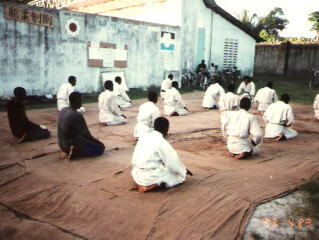 We started to play Judo outside, on the carpet made by rice sacks with local made Judogi by sails of Daw. Mr.Shimaoka tried to provide judogi and Tatami from Japan. 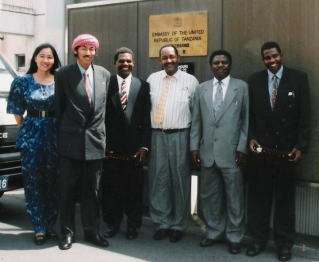 Mr.Shimaoka become National Judo Coach acooding to request from Ministry of Education, Culture and Sports, Zanzibar. 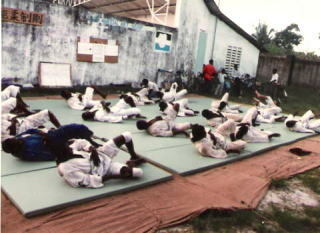 We started to train and compete with Mainland Judo club. 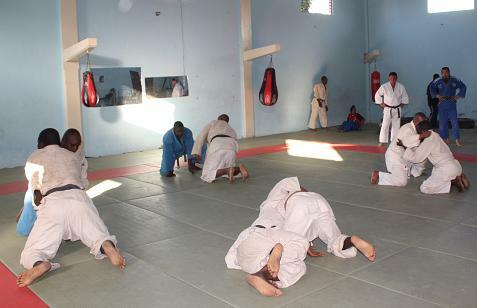 Judo has become popular little and little. 1995 We had completed 50 Tatami consited with 32 pieces of Blue Tatami and 18 pieces of Red Tatami. 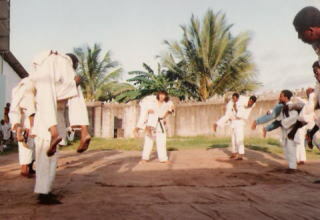 1998 We sent to Japan three players for training Judo and getting 1'st-Dan of Kodokan. 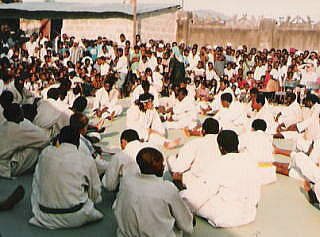 We organized varaious competitions of Tazania with Mainland Judoka. 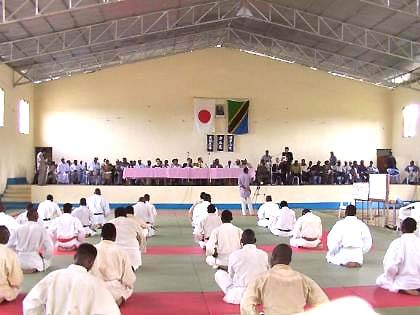 Zanzibar Judo Association was resisted by Ministry of Education, Culture and Sports Zanzibar and become a member of Tanzania Olympic Committee according to our activities. Since that day, we have played Judo inside. 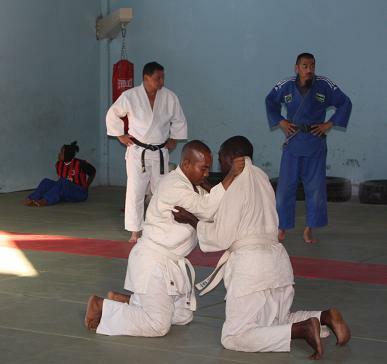 Zanzibar Judo Association continue to organize many competisions and camp training in Tanzania and partisipate for International competition and events.